When you have a large family people automatically put you into one of two camps - either super highly organised, or at the other extreme, completely disorganised and overwhelmed with things to do. I like to think of myself as somewhere between the two. I wouldn't describe myself as highly organised, but on the other hand I know that I couldn't cope with the chaos of being disorganised. My personality type would struggle with that a lot! 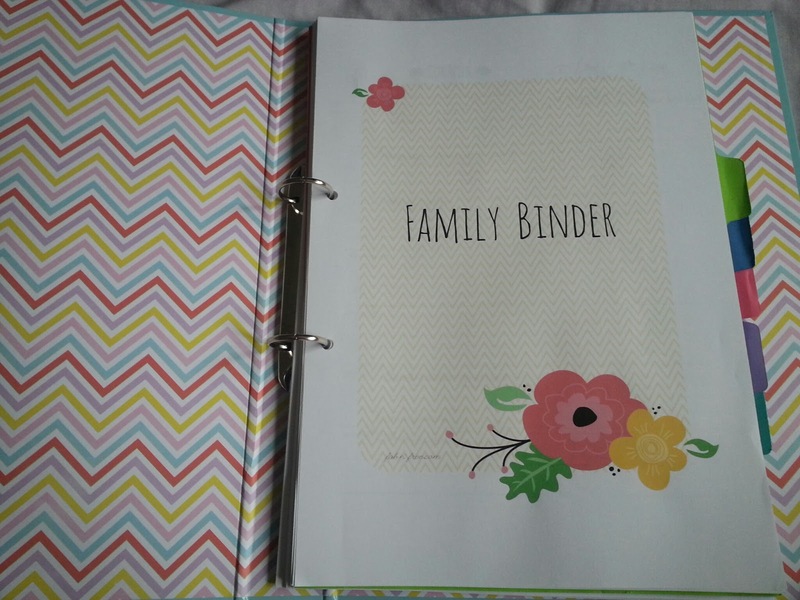 I've used some sort of family organiser for a number of years now, but to be honest, the ones I have had in the past have tended to have too much in them and so they haven't been as useful as they could be. I recently gave my family organiser an overhaul and stripped it down to just the essentials, without all the extras that I just didn't look at, and since it was all free I thought I'd share the resources with you all. The main pages in the binder are free printables which you can find here. In the first section I have our weekly calendar. Other calendars I have used in the past have had a column for each person to keep track of their comings and goings, but after using them for a while I have found that it just results in a lot of wasted space as rarely do several people have lots of different things on at the same time. I also find it harder to see at a glance what is happening each day using that sort of calendar, so I have gone back to using one space per day for all of us. 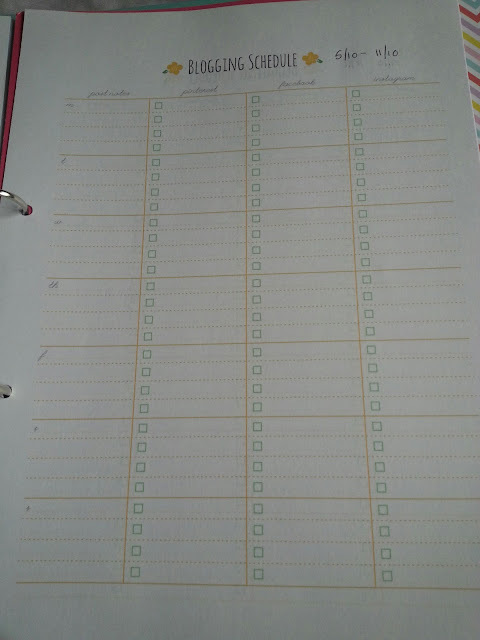 What I really like about this printable is that there is a to-do list beside each day. Again, at a glance I can see what is on my to-do list while it sits beside the diary for the day, rather than have it completely separate. Next up is our meal plan. I'm a big advocate of menu planning, It keeps things organised, stops you spending more by having to pop to the shops at 4pm when you realise that you don't know what to make for dinner and then buying some extras too! Or having a meal in mind and then realising when you go to make it that you don't have everything you need in for it. 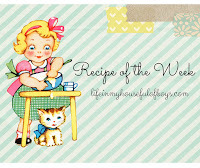 The big weekly shop is more planned out and so you are less likely to spend extra on things you don't need. You get the idea. I write out our menu on a Monday for the week ahead, although sometimes I write it for two weeks. 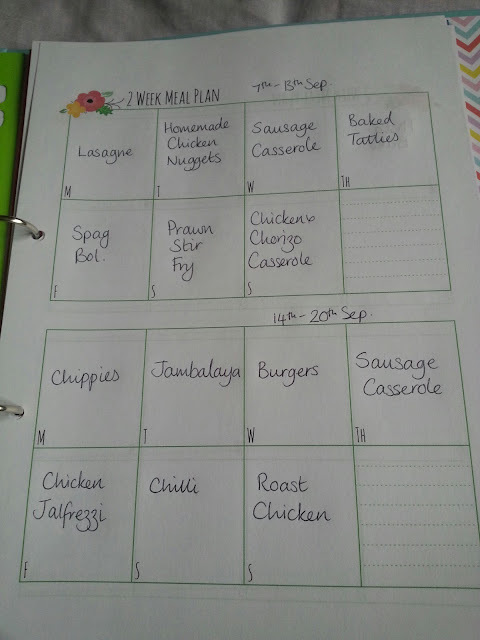 It's good to have it written down as a reference so that you don't find yourself eating the same thing week in week out - although you can spy sausage casserole on our Menu below two weeks in a row, the result of a special offer on sausages! If you are new to menu planning, you might find it useful to make a list of your family's 21 meals and keep it in the section with your menus. Apparently we all have around 21 meals that we make regularly and it's good to have them all written down to refer to when your mind goes blank while writing out a menu! I also like to go through my cookbooks and food magazines from time to time, and make a list of new things I would like to make from them. Not all books at the same time, just the occasional book now and then to freshen things up. I keep a copy of this in my meal planning section too. 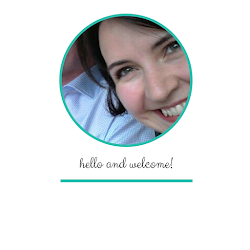 Next up is my blogging section. No more post ideas floating around in my head, only for them to disappear when I sit down to type them out! The next section is one that I find essential for our house - a medication list. 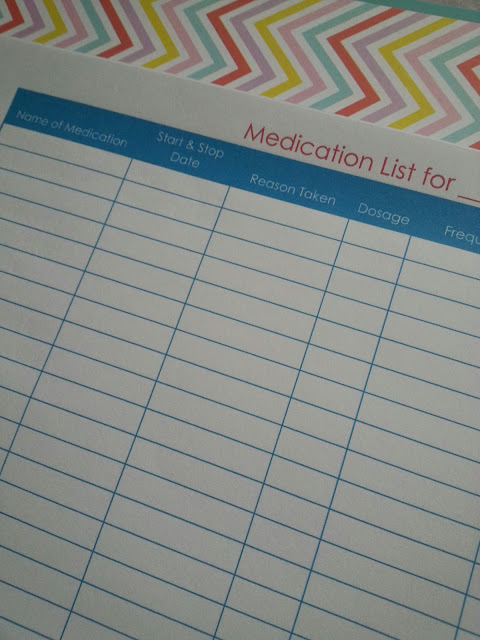 I can use this to keep track of all the regular creams and medications for the four boys that need them. I can see when they last needed to re-order them and keep track of the expiry dates for things like Epi-pens, both those that we have in the house and those that are kept at school. With three lots of epi-pens for three boys kept in the house, and another two sets each for them to be kept at school, it's great to have that sort of info all in one place! I found this printable here. My final section is a new one that I am quite excited about - a craft project planner. I can use this to keep track of any projects I want to work on, what supplies are needed, where to find the patterns etc. 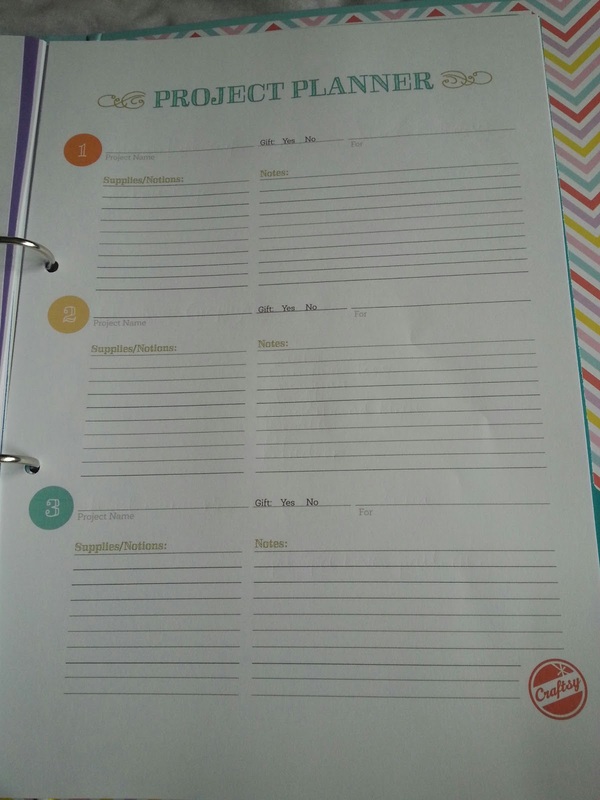 The project planner printable is from Craftsy and can be found here. I'll probably end up adding another section or two to my planner, but for now it's perfect. 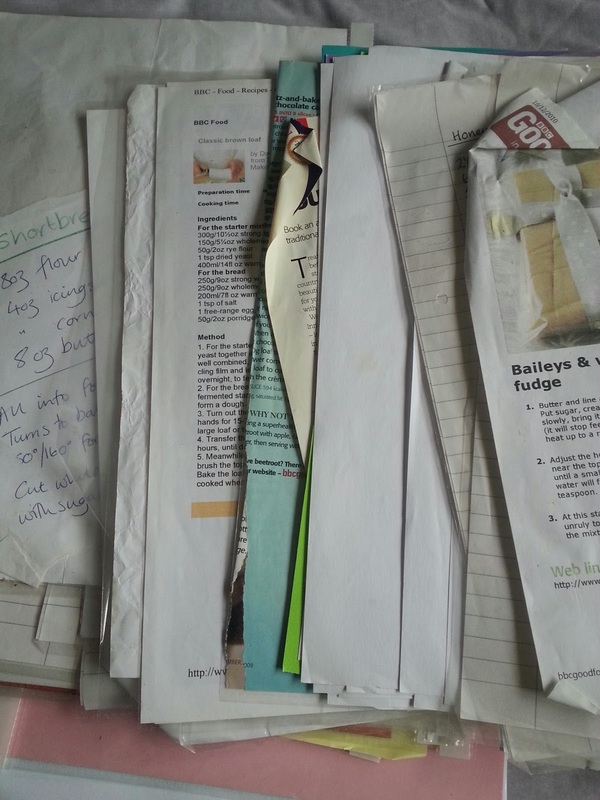 That heap of papers above is my recipe file where I keep hand written recipes, those torn out of magazines, or printed out from the internet. 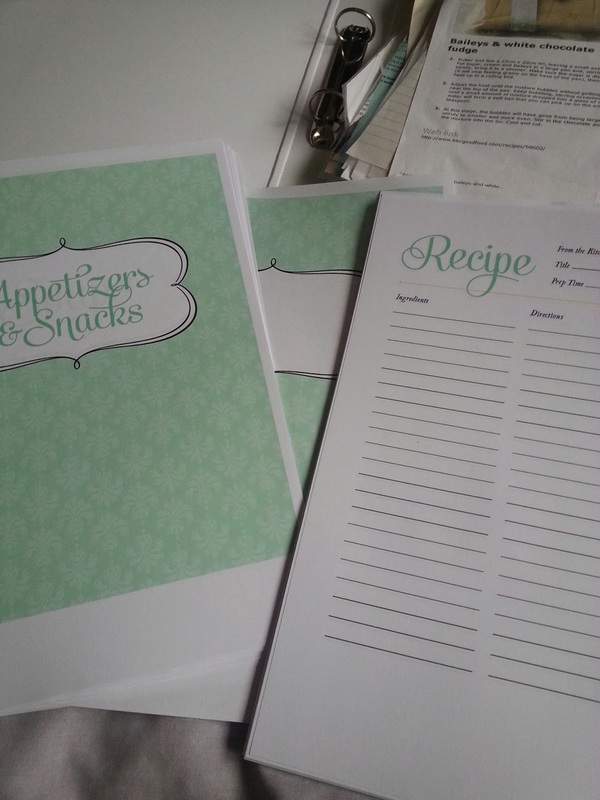 It's needing a bit of a sort out and I've got the perfect set of printables to get those recipes nice and organised.. 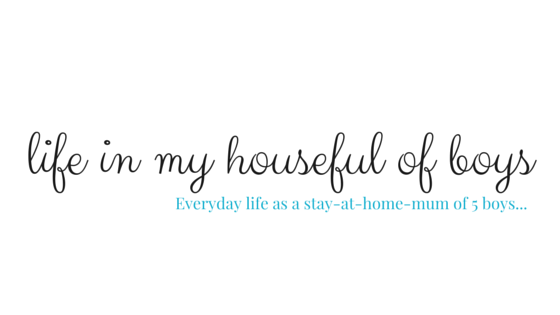 If you too have a bundle of recipes in need of a little TLC then the free printable is available here. 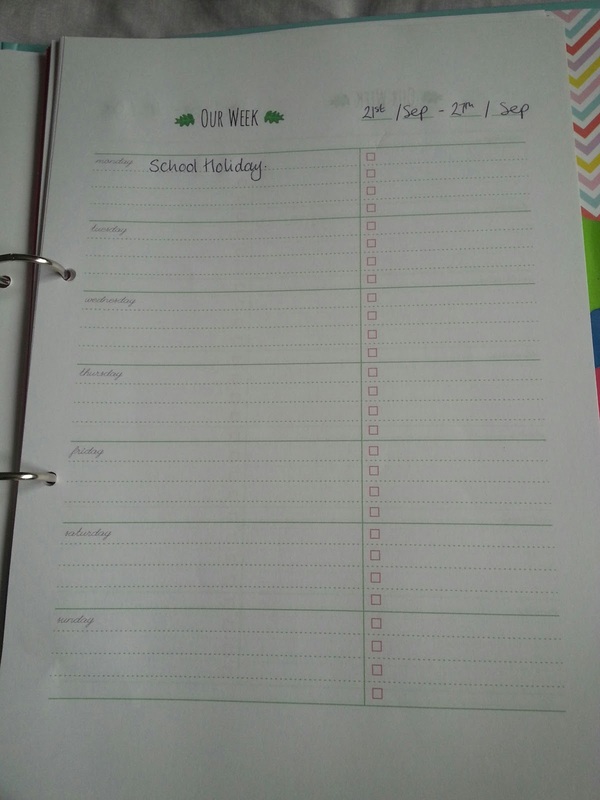 And one final organising help that I've just printed out is, well perhaps I should whisper it as it's still September, but I'm putting together a new Christmas Organiser. In order to spread the cost and busyness of the festive season I like to start planning things round about now! I think this is a lovely post! Thanks for sharing!